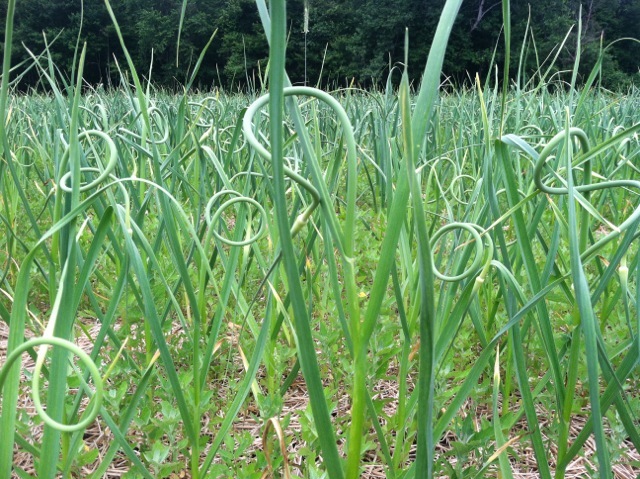 This week, I snapped off 80 curly garlic scapes., the mildly flavored flowering tops of the bulbs of garlic growing in my organic garden. This encourages the garlic bulbs to grow bigger. As I wait a few weeks to harvest the garlic bulbs, happily, I can eat and cook the tender, garlic scapes to make vegetarian and vegan pesto, hummus, vegetable stir fries, dressings, garlic infused oils, and much more. I use garlic scapes like garlic cloves: 1-1. You can sub one garlic scape for one garlic clove in recipes even though the garlic scape appears bigger and longer than a clove of garlic; resembling a scallion. With today’s harvest of organic kale and garlic scapes, I made a delicious , quick and easy vegan, kale pesto with garlic scapes, hemp seeds, hemp oil, lemon olive oil, and umeboshi vinegar, and served it over gluten-free quinoa macaronis with a simple garden fresh, salad of lettuce and arugula. Delicious Lunch! Come to Spice It Up! 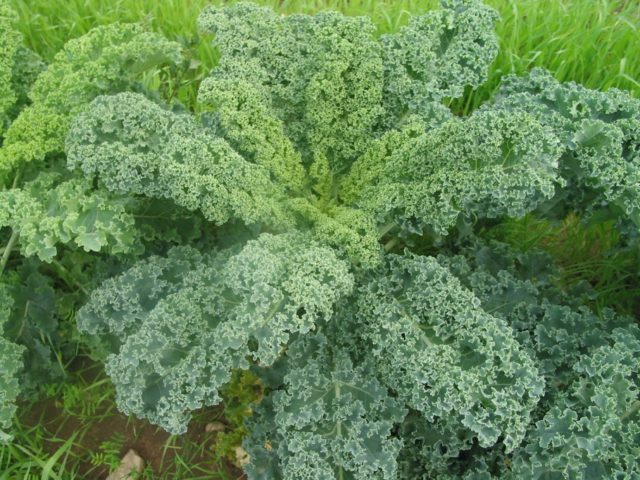 Creative Cooking with Herbs and Spices June 29-July 1 to learn and taste great recipes with garlic scapes, and other fresh herbs from Leslie’s organic garden. And too busy to cook or take a cooking class, please contact me for personal chef services for individuals, families, special occasions, romantic dinners, parties and just because you want to come home to a refrigerator filled with great organic vegetarian, vegan and gluten-free meals.